Released in Germany in 1957 as an all-purpose sedative, but later widely used as a preventative treatment for “morning sickness,” Thalidomide caused an estimated 10,000 – 20,000 severe birth defects worldwide. The injuries associated with a mother’s ingesting Thalidomide while pregnant included birth without limbs, shortened limbs, deformed hearts and eyes, and blindness and deafness. It is estimated that 39-50% of babies born with Thalidomide-related birth defects died within a few months of birth. Thalidomide’s use increased after the drug became available over-the-counter in 1960. Before its use was banned, however, Thalidomide had been linked to birth defects in more than 39 countries. The pharmaceutical company Richardson-Merrell (now Marion Merrell Dow) sought approval for sale of Thalidomide in the United States in June 1960. Because of a loophole in the approval process, however, Richardson-Merrell was able to distribute millions of doses of Thalidomide to more than a thousand doctors in the United States while the drug was being investigated. About 20,000 patients in the United States took Thalidomide as a result. Despite efforts to win quick approval from the Food and Drug Administration, Richardson-Merrell ran into an immovable force in the person of Frances Oldham Kelsey. Dr. Kelsey, who had only recently joined the FDA as a reviewing pharmacologist, resisted the requests for approval to market the drug and instead asked for more controlled studies related to Thalidomide’s risks. When studies showed that the drug’s use had lead to more than 10,000 severe birth defects worldwide, Richardson-Merrell pulled their application for approval. In 1962, Thalidomide was banned worldwide. Compared to other countries, only a relative handful of children in the United States were born with Thalidomide-related injuries. 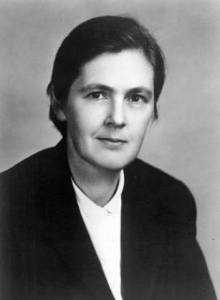 For her efforts, Frances Oldham Kelsey received the President’s Award for Distinguished Federal Civilian Service from President John F. Kennedy in 1962 and continued her work at the FDA. As a result of the Thalidomide tragedy, many new regulatory reforms were enacted in order to better protect American consumers. Congress passed new rules related to testing and licensing of drugs. Unfortunately, the potential for birth defects resulting from a mother’s use of pharmaceutical drugs is still present today. A new, peer-reviewed study has found that children born to mothers who took common prescription painkillers, like Vicodin, Oxycontin, or Percocet, at or near the time of conception were more than twice as likely to be born with neural tube defects such as spina bifida. The scientists found a strong association between mothers who took these prescription opioid painkillers and a significantly increased risk of having a child with one of these serious neural tube birth defects.